An interactive project exploring the relationship between a neighbourhood and its tap water quality. According to designer and researcher Tuur Van Balen, only a small amount of the pharmaceuticals and chemicals we swallow are taken up in our bloodstream, most of them pass through our bodies into the city's wastewater. Since wastewater treatment plants are not designed to remove pharmaceuticals, the contents of our medicine cabinets eventually end up in the drinking water. This results in local differences in tap water, based on the food we eat and the drugs we take. 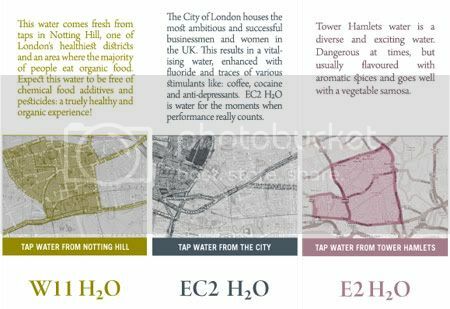 For his London Biotopes project, Van Balen generated a map of the city showing the different characteristics of each area’s tap water. The water in Notting Hill, for instance, is of a higher quality due to the high density of organic shops in the neighbourhood, whilst water in Golders Green is more fertile because of the relatively low number of people in the area who take the contraceptive pill. The resulting ecological map marks out new urban biotopes for the city. For Londoners who feel their area is being under-represented in the map can then add it to the database themselves with a short explanation. 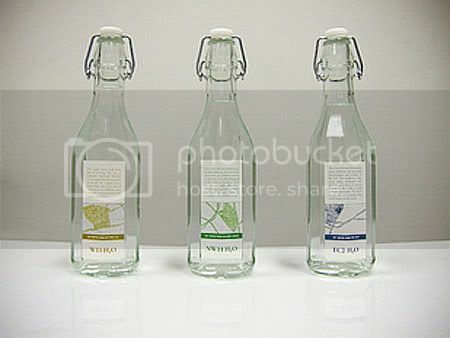 Van Balen will then generate a label for these users to download that they can stick on bottles, if they want to sell their local water.